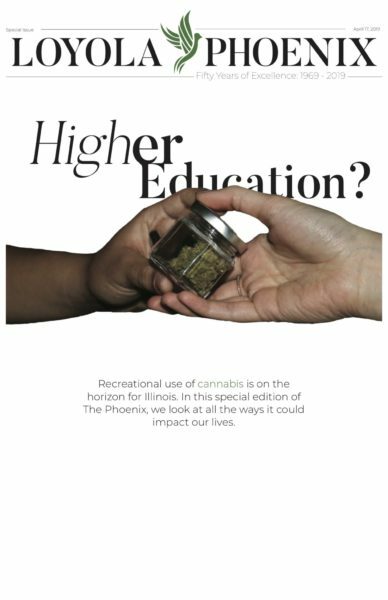 Victoria Roberts | The PHOENIX While more than 500 Loyola first-year students live in on-campus converted triple dorms, 63 first-years have withdrawn from the university since August, leaving many, like Maha Abbasi, living alone in doubles until the school can fill those gaps. Due to limited space for incoming students, many rooms intended to house only two students were converted to hold three. Approximately 168 bed spaces, which include a third bed and additional furniture, were added to double rooms across campus, according to Clair McDonald, assistant director for assignments. This means around 500 students are currently living in converted housing. There are about 437 first-year commuter students this academic year, according to the coordinator for off-campus life, Kristina Garcia. This means around 22 percent of the first-year class has been assigned to converted housing. One student in this type of housing is Mariel Ronquillo, 18, a first-year business major who has a converted triple in Regis Residence Hall. Ronquillo described her experience in a triple as positive overall, but said there are many factors that students assigned to converted housing must deal with. Ronquillo said she had the advantage of moving in early and was able to get a clear look at the layout of her room. She explained that if Residence Life provided students with an idea of how their triple would be set up, a lot of move-in issues could be avoided. In the past, several lounges in San Francisco, DeNobili and Campion residence halls were designated as temporary housing for students who couldn’t be placed anywhere else, according to McDonald. If the program was utilized, the lounges would have been outfitted as “normal” rooms with beds, dressers and desks with a special product covering the windows in the hall. Temporary housing hasn’t been used this year to accommodate the large number of students living on campus, according to Residence Life. Residence Life has also worked with The Sovereign, an apartment building managed by Lakeside Management, to provide housing for students. Lakeside Management is Loyola’s non-profit retail property management firm. Last year, several apartments were master-leased on behalf of transfer students. However, Residence Life didn’t feel that this would be necessary for this academic year. Any students living in Lakeside apartments this year have signed leases with Lakeside directly, according to McDonald. 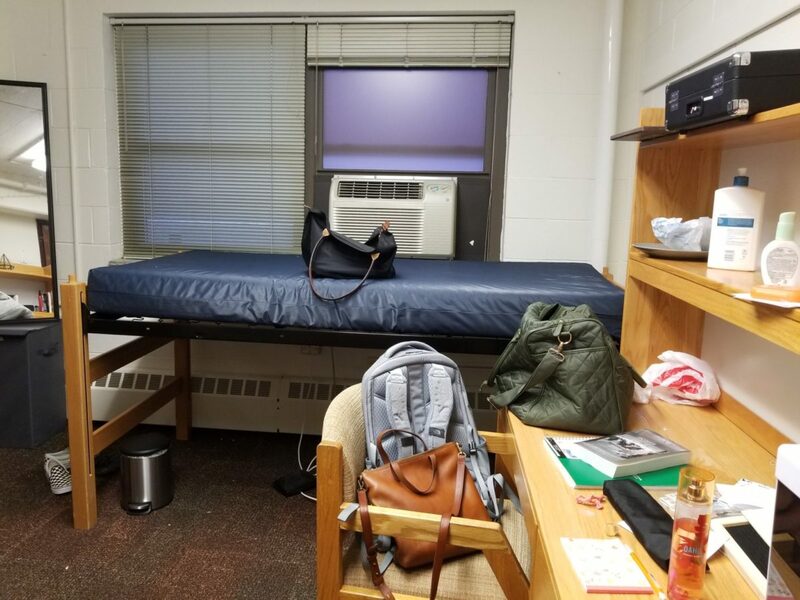 While some students were given more roommates than they were expecting, one Loyola student was upset to have no roommate at all. Maha Abbasi, an 18-year-old biology major, planned to live with a friend from high school for her first year. Plans changed when Abbasi’s soon-to-be roommate withdrew her enrollment from Loyola for medical reasons, leaving Abbasi alone in her Campion Residence Hall room intended to house two students. Residence Life told Abbasi that, if her roommate withdrew in time, they would automatically pair her with a random roommate. Abbasi was disappointed by the fact that she ended up not having a roommate, since she never requested to be put in a single. McDonald said there are several situations that lead to empty spaces in housing at the beginning of the semester. “Some students arrive later in the year due to participation in elite sports tournaments, or because of serious familial obligations such as weddings or funerals, so for the first two weeks of the semester we have a room change freeze and we always do this in order to figure out what everyone’s situation is,” McDonald said. This means that students like Abbasi could be placed with one of these late arrivals, according to McDonald. Residence Life was unable to disclose how many students are currently living by themselves in double rooms. However, since move-in began on Aug. 22, Residence Life has filled more than 15 gaps in double rooms. She emphasized that because most of the dropouts and cancellations occur right before move-in at the end of August, there are often several gaps in housing that need to be filled — a main reason the freeze exists. As of Sept. 11, 63 incoming freshmen have withdrawn their enrollments from Loyola since Aug. 1. Last year, only 59 freshmen had withdrawn up until this date, according to Residence Life. Students with housing concerns or questions are encouraged to contact Residence Life, and once the room change freeze is lifted on Sept. 13, students may begin to request room changes. However, there’s no guarantee that students can switch to different rooms. There’s no way for Loyola to prioritize moving certain students to new rooms unless there is a serious issue concerning a student’s well-being, according to McDonald. McDonald said that as of now there are no plans by Residence Life to build additional rooms in residence halls or to create more housing for first and second-year students. Additional reporting by Lexi Taylor.